New year, new you! What are your resolutions this year? 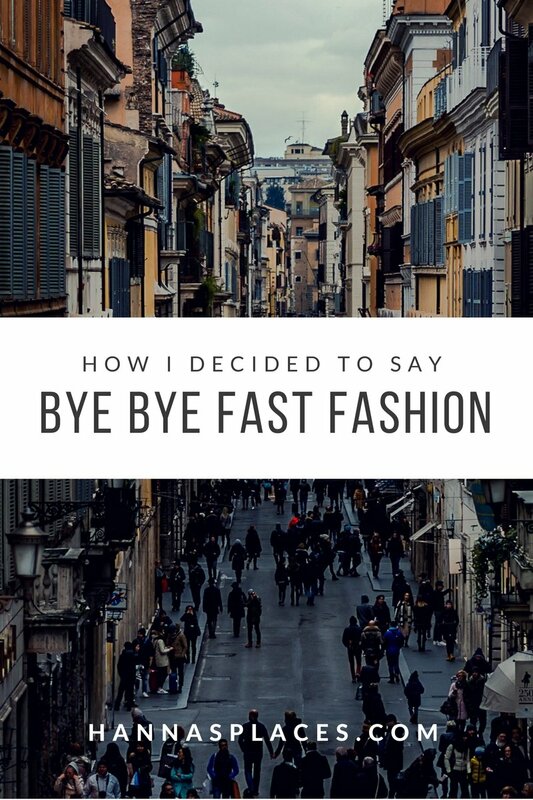 I have one big one: Saying bye bye fast fashion. A new year often means cleaning up and letting go of old stuff. When it comes to our wardrobe, we are all craving simplicity and less stuff around, right? ‚Capsule‘ or ‚five-item‘ wardrobe are phrases that were everywhere in the blog world in the last year. I must admit though: The thought of spending hours and hours thinking about which 10 items I would like to wear for the next couple of months has always put me off the idea a bit. I’m trying a different approach on cutting back this year: I want to say bye bye fast fashion and stop shopping at regular stores this year. No more H&M, Zara, Topshop, you name it. We all kind of know about the horrors of the clothing industry, burning sweat shops, exploitation, but we still (or I at least) close our eyes, maybe just ban Primark from our shopping list and continue going to brands that are just as bad as Primark. I’m reading a really good and informative book at the moment about the fashion world. It’s been really eye opening so far and I definitely recommend it to everyone interested in the topic. I can’t wait to share the labels I find and new shopping tactics or facts with you guys. Is there anything you’d be interested in? Any features you’d like to read? And do you know of any great ethical labels you’d like to share? I’m all ears.